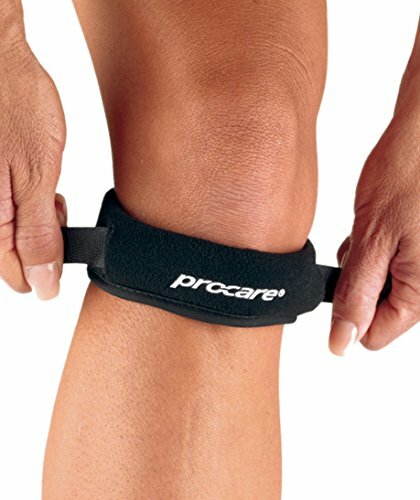 The ProCare Surround Patella Strap Support Brace helps relieve anterior knee pain caused by patellar tendonitis, chondromalacia and Osgood-Schlatter disease; by applying pressure to the patella tendon. The primary body of the strap is a soft, latex free nylon/foam laminate with contact closures. A unique cylindrical Floam bladder is encased inside the body of the primary patella strap, and may be adjusted for added compression. Floam provides uniform compression and a customized fit while prohibiting pressure from being displaced to bony prominences. The universal fit allows the ProCare Surround Patella Strap Support Brace to be worn on either the left or right leg.